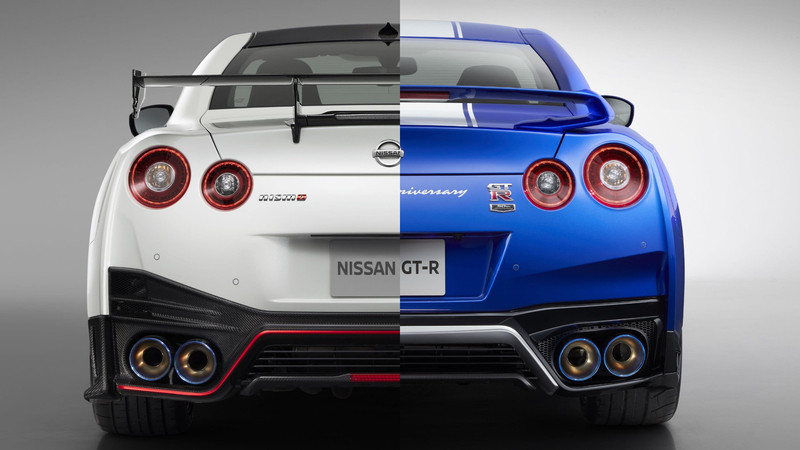 The legendary GT-R badge turns 50 this year, and Nissan is celebrating with a 50th Anniversary Edition GT-R. 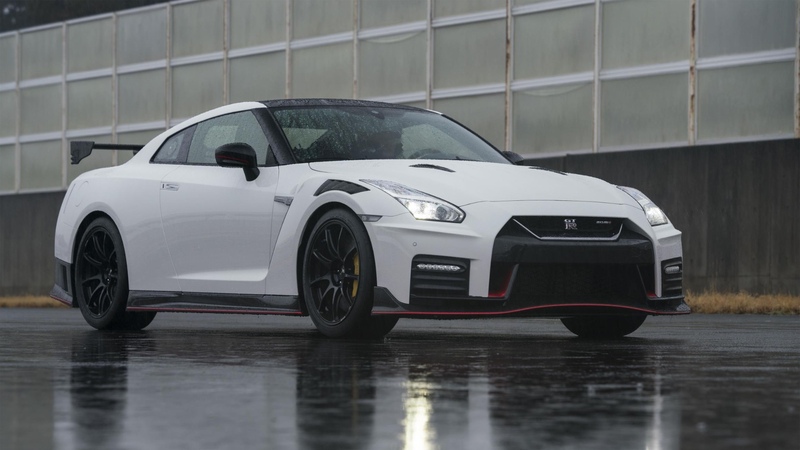 It has been revealed at the 2019 New York Auto Show, alongside an updated Nismo version. 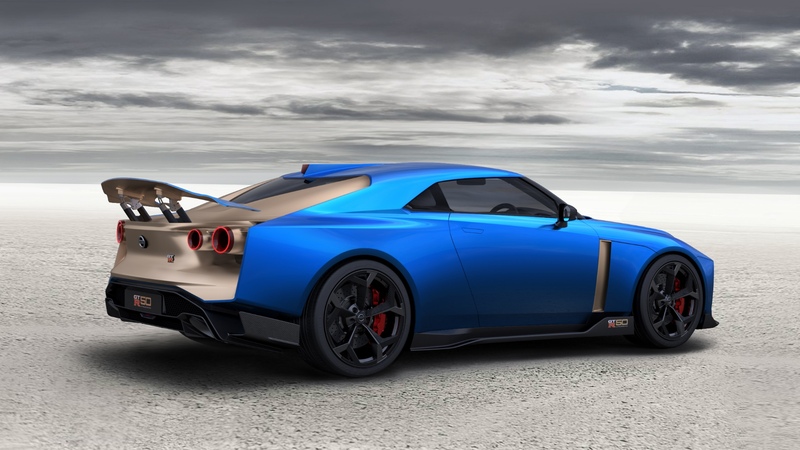 You could be forgiven for thinking this 50th Anniversary Edition is nothing more than a stickers-and-paint job, especially after the bespoke, hand-built GT-R50 by Italdesign. You’d be wrong, however. 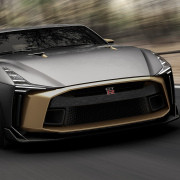 As is the way with the GT-R, a new version and model-year comes with tangible incremental updates. These include new more refined turbos for better power delivery and efficiency, plus an updated exhaust manifold for ease of servicing and ‘potential tuning’ – their words. 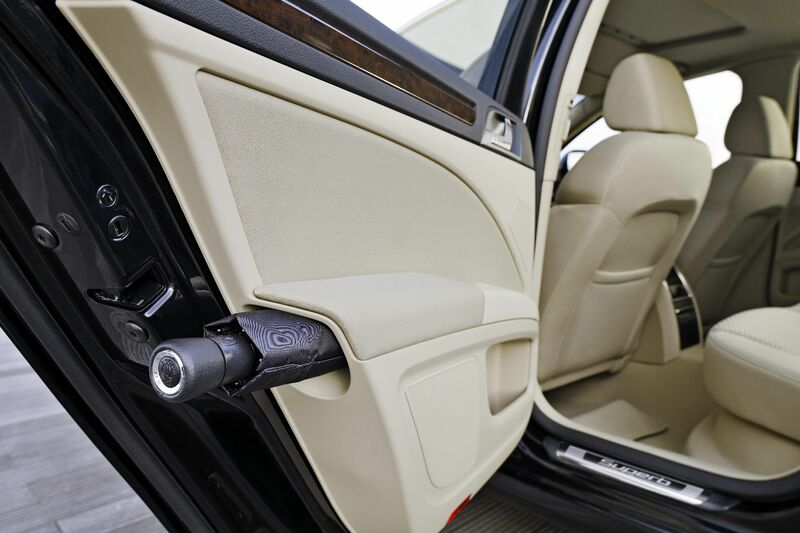 There are also new titanium exhaust mufflers, along with upgraded gearshift and suspension software. 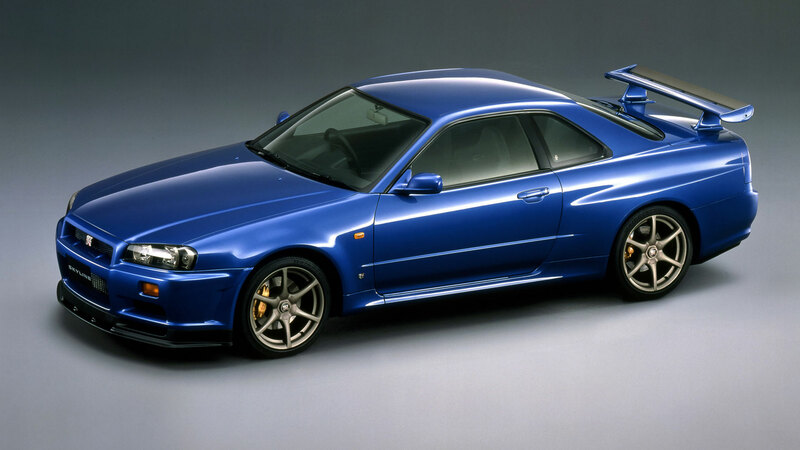 As for the 50th Anniversary bits, Bayside Blue, previously seen on the legendary R34 GT-R, makes a return. The livery replicates that used on the original Hakosuka for the Japan GP series. There are more subtle highlights on the inside, including special trim for the shift knob and steering wheel. We’re not sure we’d call it ‘new’, but tinkering is always appreciated. 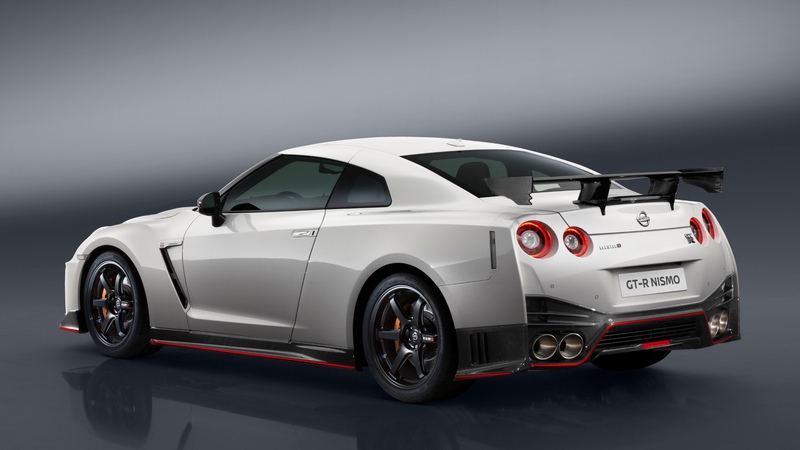 There are updates for the Nismo GT-R, too. The car is around 30kg lighter before, thanks to more extensive use of carbon fibre for the race-inspired bodywork. New Porsche-style vents over the front wheels improve air extraction from the wheel wells and increase downforce. The Nismo has turbochargers straight off the GT3 car, for a 20 percent improvement in power delivery. Peak power is still 600hp, but you get access to it quicker. 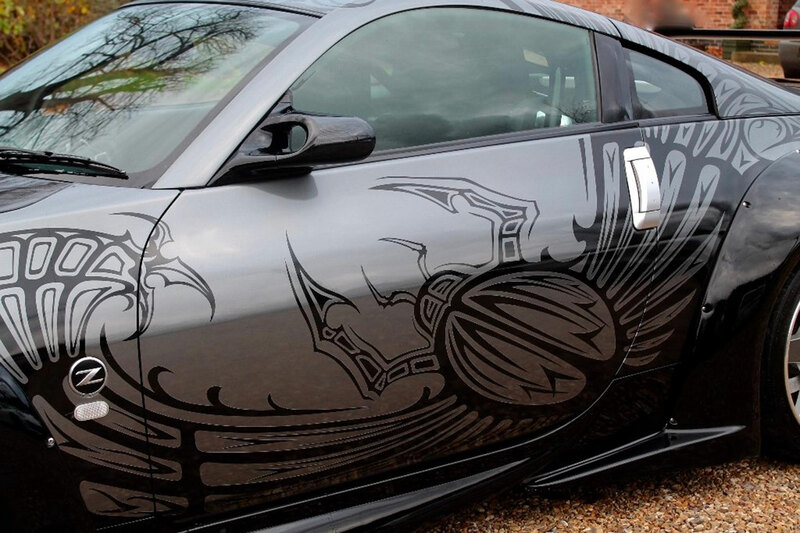 It wouldn’t be a fettled GT-R without a touch of the aftermarket, though. New for the 2020 Nismo are stunning 20-inch forged Rays alloy wheels, wrapped in new Dunlop tyres that increase contact patch by 11 percent. 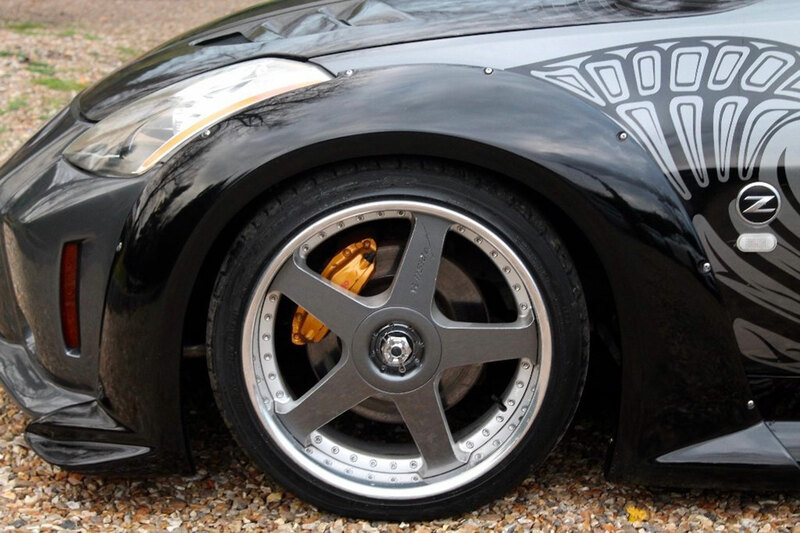 Brembo carbon-ceramic brakes are optional. Inside, it’s business as usual. That’s to say, lots of red flashes, Alcantara and some mean-looking bucket seats. It’s hard to believe that the current Nissan GT-R is a direct descendant of the 1957 Prince Skyline. The Prince Motor Company had roots in the aircraft and electric car industries and was named in honour of Prince Michinomiya Hirohito. At the helm was the late Dr Shinichiro Sakurai, a man responsible for Skyline products up to and including the R30. He understood the importance of racing when influencing car design, but the Skyline of 1957 showed little in the way of sporting intent. 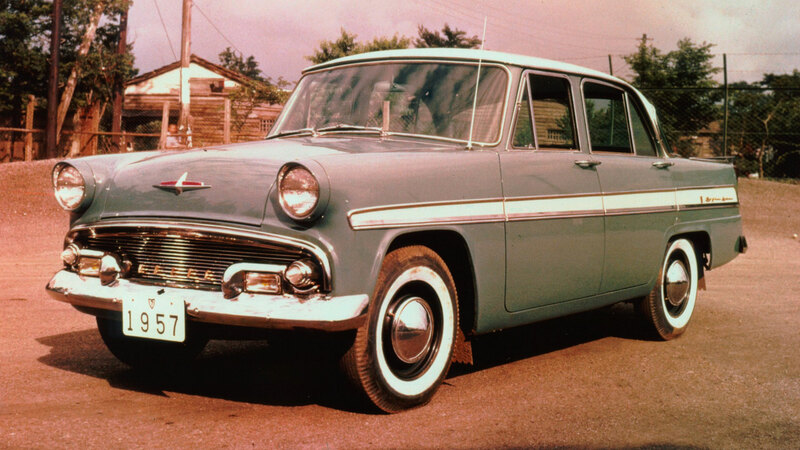 The styling was influenced by American cars of the time, while power was sourced from a four-cylinder engine first seen in the Subaru 1500. The first racing version was the Skyline Sport of 1962. 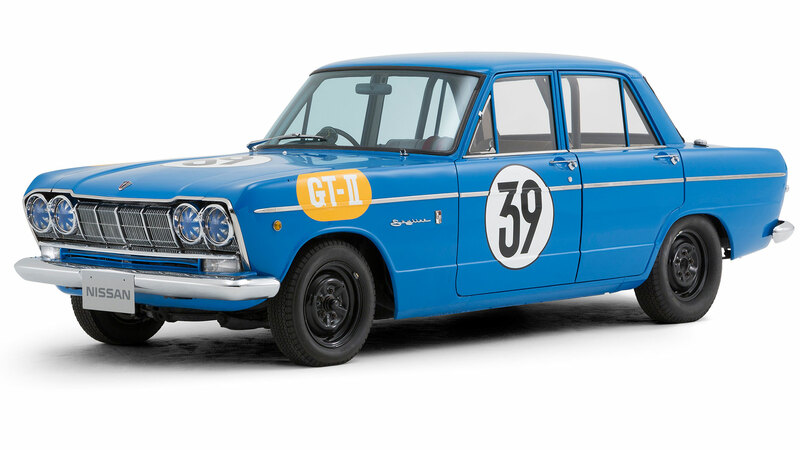 Still powered by a four-cylinder engine, the Prince Skyline Sport competed in the inaugural Japanese Grand Prix of 1963 at Suzuka, where it finished seventh in the Sports Car class. 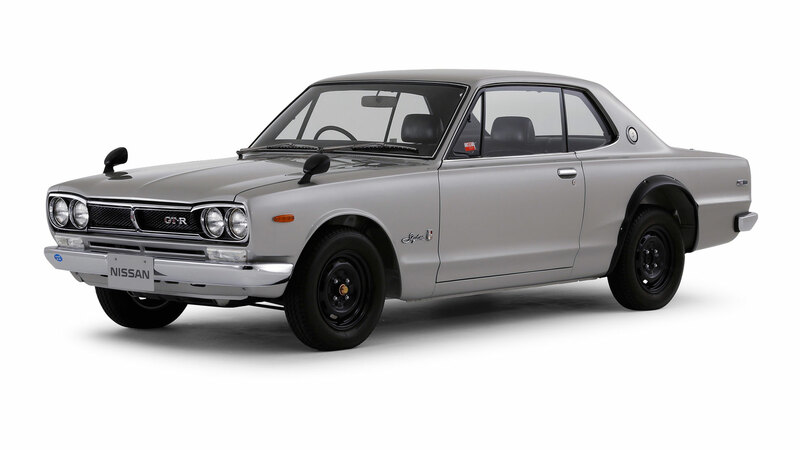 A year later, the Prince Motor Company unveiled the Skyline GT, a car designed to stop the European cars from dominating the Japanese Grand Prix. 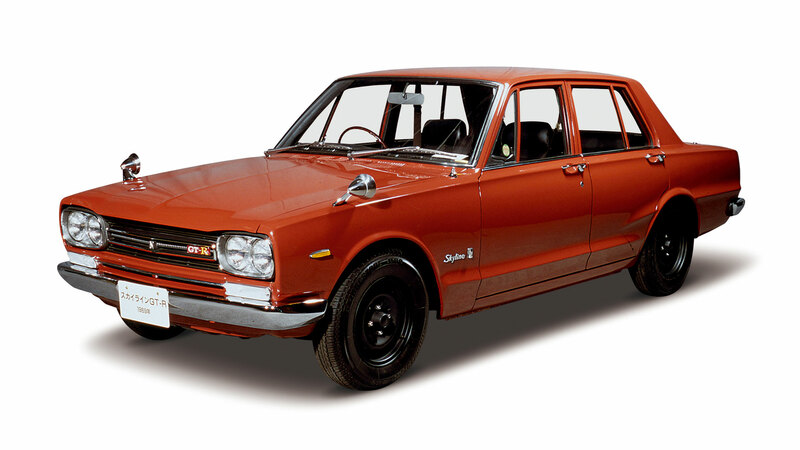 The wheelbase of the Skyline 1500 was extended by 200mm to house a six-cylinder engine, with racing enhancements comprising triple Weber carburettors, a five-speed gearbox and a non-slip differential. The Porsche 904 won the race, but the Skyline GT filled all positions from second to sixth. A road-going version followed – the GT-R seed was sown. Dr Sakurai wasn’t going to take the defeat lying down. 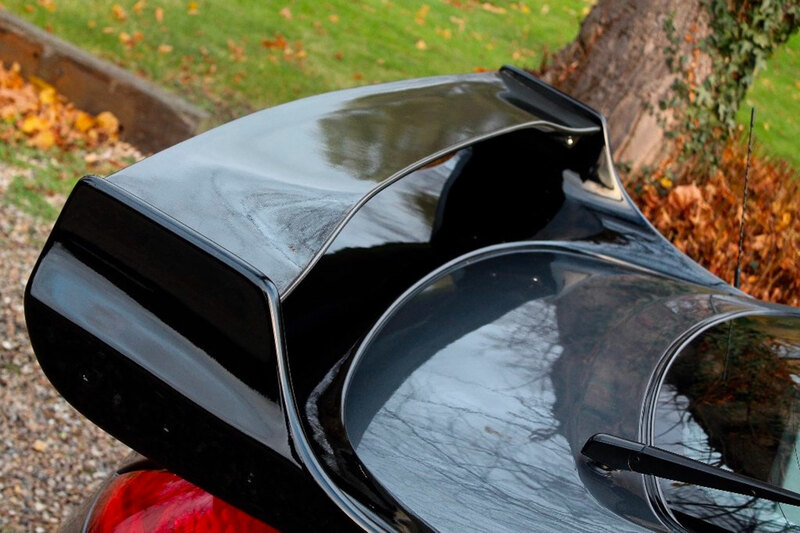 The stunning Prince R380 was designed with a single-minded objective: to beat Porsche. Completed in 1965, the R380 was Japan’s first mid-engined car, with a platform and chassis design influenced by the Brabham BT8. It used the rear lights from the road-going Skyline, but the primary feature was the 2.0-litre six-cylinder GR8 engine – the genesis of the Skyline GT-R. Car number 11 driven by Yoshikazu Sunakothat won the 1966 Japanese Grand Prix at the first attempt – the last race before Prince merged with Nissan. 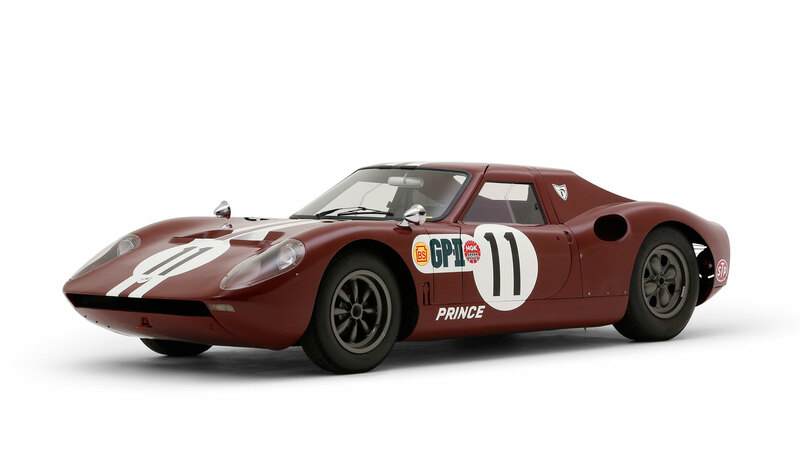 Prince also finished second and fourth – the Porsche 906 was vanquished. Three years later, a star was born. The first GT-R had been in development for a number of years and was based on the 1968 2000GT. It might have looked like a humble four-door saloon, but power was sourced from a modified GR8 racing engine, complete with triple twin-choke Solex carburettors, an electronic ignition, a limited-slip differential and a five-speed gearbox. At a time when four-speed ’boxes were considered advanced, the GT-R pushed the envelope of performance design. This was one of the fastest production cars in Japan, with a top speed of 124mph. Just 832 four-door 2000GT-Rs were built. The 2000GT-R (PGC10) made a winning start to its racing career, finishing first at the 1969 JAF Grand Prix at Fuji, before securing a string of 49 consecutive victories. In 1972, the Skyline 2000GT-R secured its 50th race win, with K. Takahashi taking the chequered flag on a drenched Fuji circuit. But with competition from Toyota and Mazda, the GT-R was less competitive in 1972 and 1973, but still managed to win a total of 58 races overall, including that magnificent 49-race dominance. A two-door version (KPGC10) was unveiled in October 1970 before going on sale in March 1971. 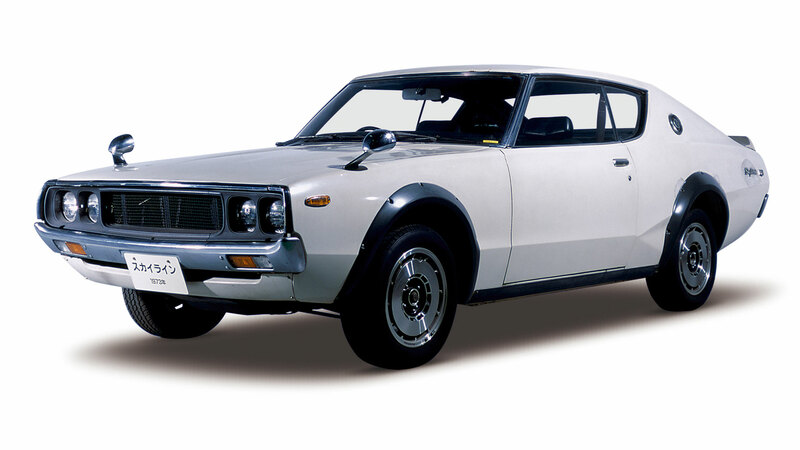 A total of 1,197 two-door Skyline 2000GT-Rs were built, making it more common than its four-door sibling. 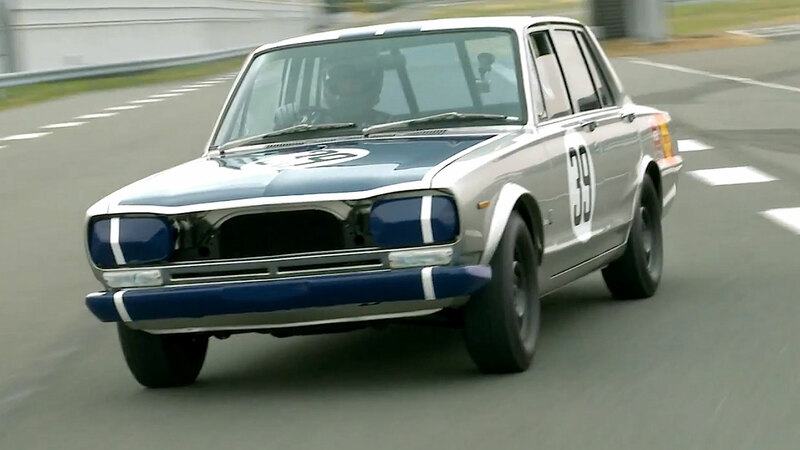 That said, the ‘Hakosuka’ is a rare beast, as many cars were lost during racing. Loosely, ‘Hakosuka’ is Japanese for ‘boxy Skyline’. 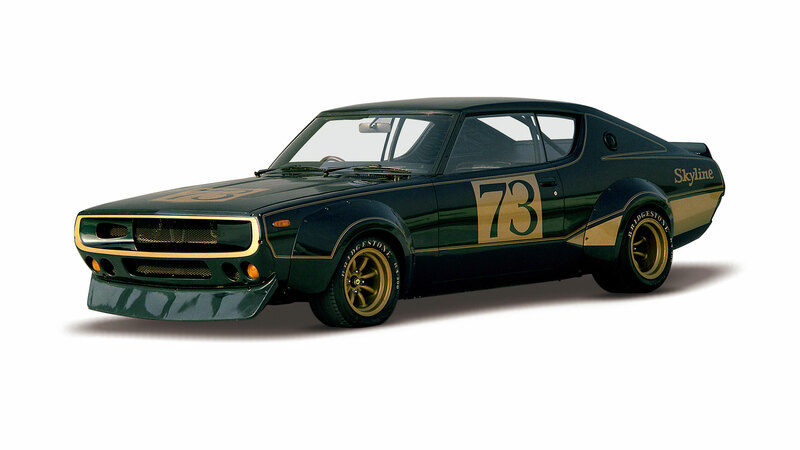 The Skyline 2000GT-R Racing Concept was exhibited at the 1972 Tokyo Motor Show, with its number chosen to represent participation in races in the 1973 season. However, Nissan pulled the plug on its work team, with the technical team tasked with developing anti-pollution technology and increased fuel efficiency. Although Nissan’s racing days were temporarily on the back-burner, a second-generation Skyline GT-R was unveiled in 1973. In common with many new-generation cars of the era, the KPGC110 was bigger and heavier than its predecessor, but the engine remained the same, meaning it was also slower. The styling was more American muscle car than Japanese family saloon, but it did usher in one of the Skyline GT-R’s signature details: four round rear lights. 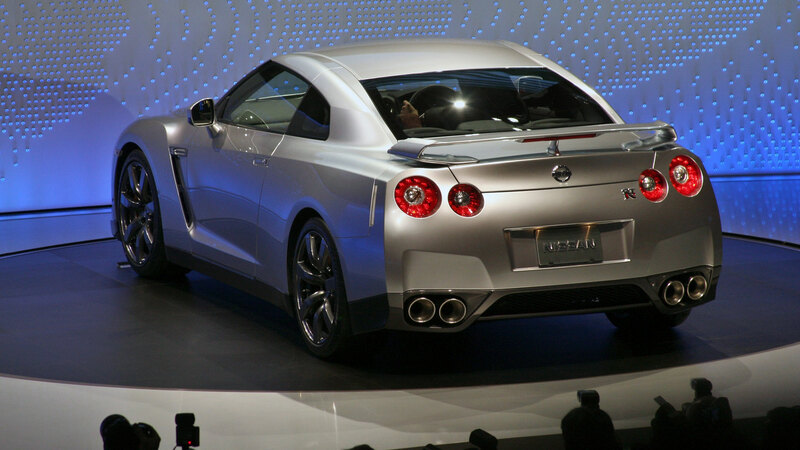 Fewer than 200 GT-R coupes were built – all of which were sold in Japan – with production lasting just six months. The GT-R name sat dormant for the rest of the 1970s and most of the 1980s, but in 1985, Naganori Ito succeeded Dr Shinichiro Sakurai and was given the task of developing a new range of Nissan sports cars. Work started on the top-secret Project GT-X in 1986, with Nissan launching a succession of production cars based on the Skyline R32, including a true icon – the GT-R. Alongside the Porsche 959, it pushed the boundaries of performance car development and was the first all-wheel-drive GT-R. Few cars have moved the game on to such a great extent. 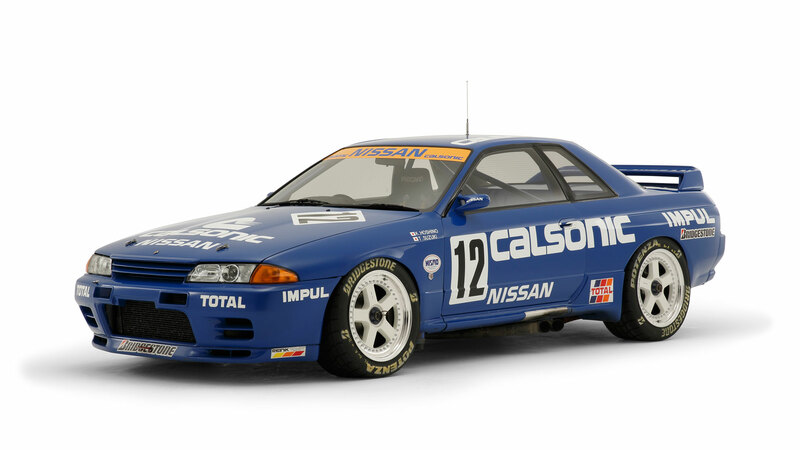 The Skyline GT-R R32 made its competition debut at the opening race of the All Japan Touring Car Championship in 1990, with the Calsonic car driven by K. Hoshino and Toshio Suzuki securing victory in the 300km race. 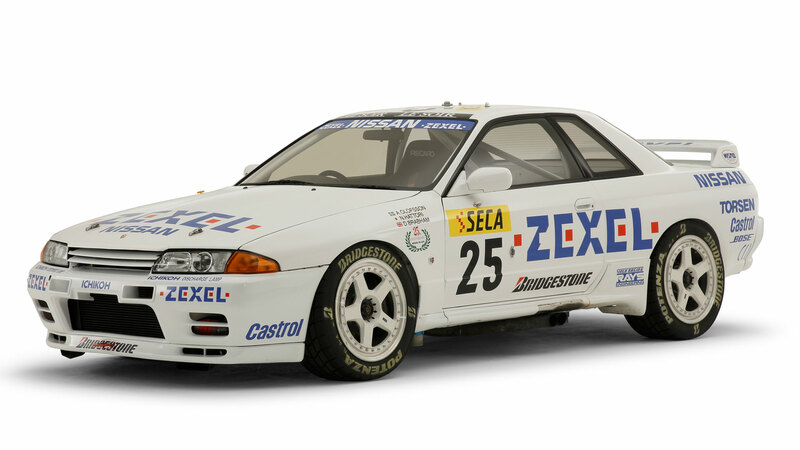 It went on to win all 29 races of the four series held from 1990 to 1993, and three consecutive Group A championships in Australia, with the local media nicknaming the GT-R ‘Godzilla’. Quite literally, the R32 changed motorsport. Such was the GT-R’s dominance – it won back-to-back Bathurst 1000 races in 1991 and 1992 – the Australian Touring Car Championship’s governing body banned all-wheel-drive and turbocharging, killing Godzilla in its tracks. But no matter, because the R32 GT-R had already cemented itself as performance car royalty, helped in no small part by its appearance in the Gran Turismo video game franchise. Today, Nurburgring lap records are two-a-penny, but the R33 Skyline GT-R sent shockwaves through the performance car world when it became the first production car to lap the ‘Green Hell’ in less than eight minutes. The 2.6-litre straight-six engine was carried over from the R32, with output restricted to 280hp as part of a Japanese gentleman’s agreement. A few engine tweaks meant that the R33 was a tad quicker to 62mph, but many people chose to take advantage of the RB26 engine’s seemingly unquenchable thirst for tuning. This was the first Skyline GT-R to be officially imported in the UK and the lineage with the current GT-R is clear to see. Needless to say, the R33 Skyline GT-R proved to be an effective racing car. In 1995, a Nismo Skyline GT-R LM completed 271 laps at the 24 Hours of Le Mans, finishing 10th – a remarkable achievement considering the strength of the opposition. The race was won by a McLaren F1 GTR, but other competitors included the Porsche 911 GT2, Ferrari F40 LM and Callaway Corvette. 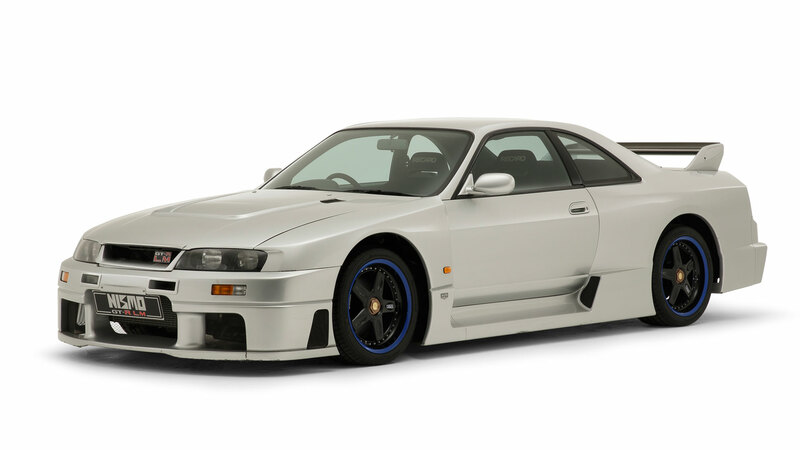 To mark the occasion, Nissan produced a limited edition Nismo version, with an extreme 400R following in 1997. 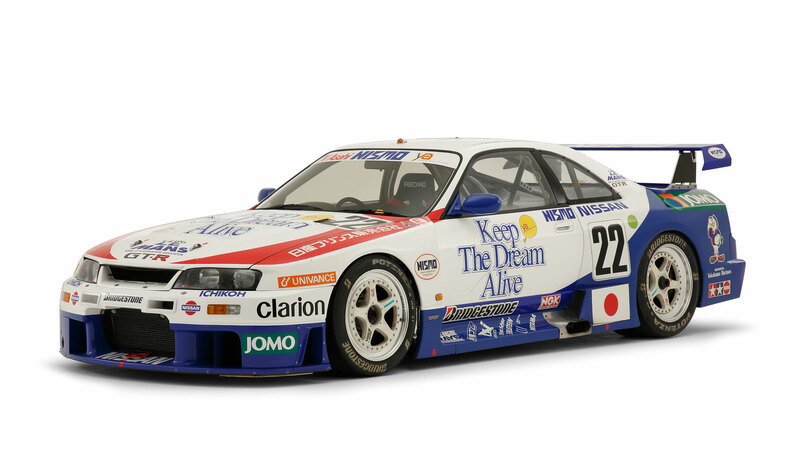 This will be familiar to fans of Gran Turismo – it’s the one-off R33 LM road car. 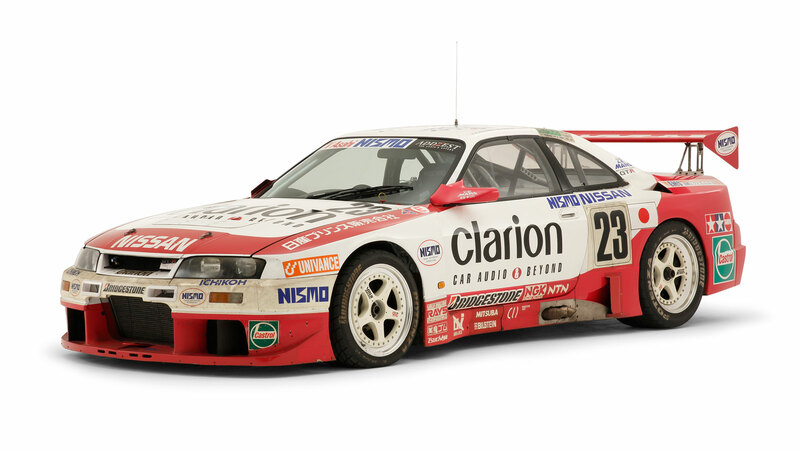 It was built to satisfy homologation rules, which allowed Nissan to go racing at the 1995 Le Mans. Beneath the bonnet lies a detuned version of the race-going 2.6-litre straight-six, while the arches are a full 50mm wider than the standard car. Amazingly, this thing was actually registered in the UK. Nissan and Nismo launched the ‘3-Year Project: Challenge to Le Mans’ in 1995, but the programme ended in 1996 when living with the Porsche 911 GT1 was proving to be an impossible dream. Car number 23 finished 15th overall and fifth in class, with the engine output increased to 2.8-litre to deliver in excess of 600hp. V-Spec first appeared on the R32 Skyline GT-R of 1993, a high-performance variant with standard equipment including Brembo brakes and 17-inch BBS alloy wheels. 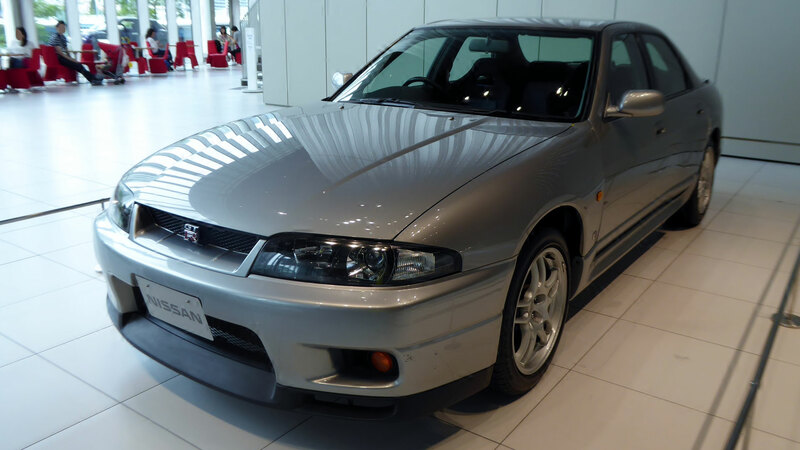 A V-Spec version of the R33 was available from launch and featured uprated suspension and an active limited-slip differential. 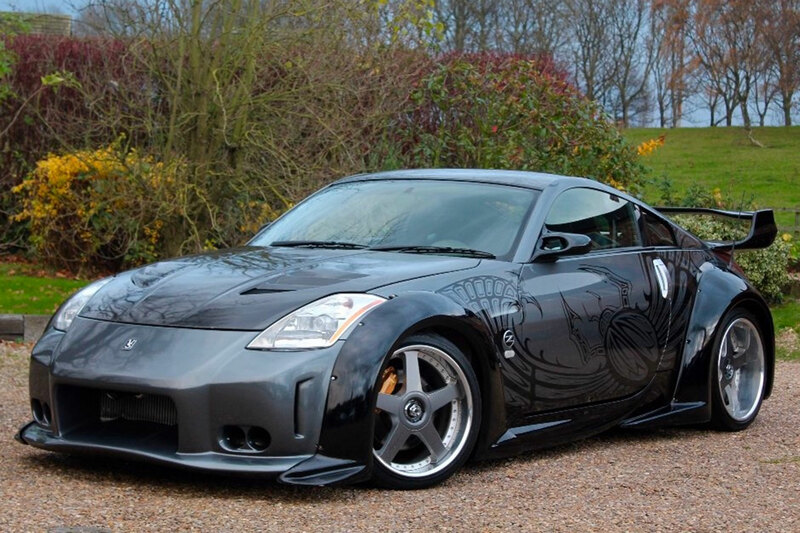 In 1997, Skyline specialist Middlehurst Nissan built 100 modified V-Spec cars, with changes including a 180mph speedometer, UK-spec bumpers and mechanical upgrades. 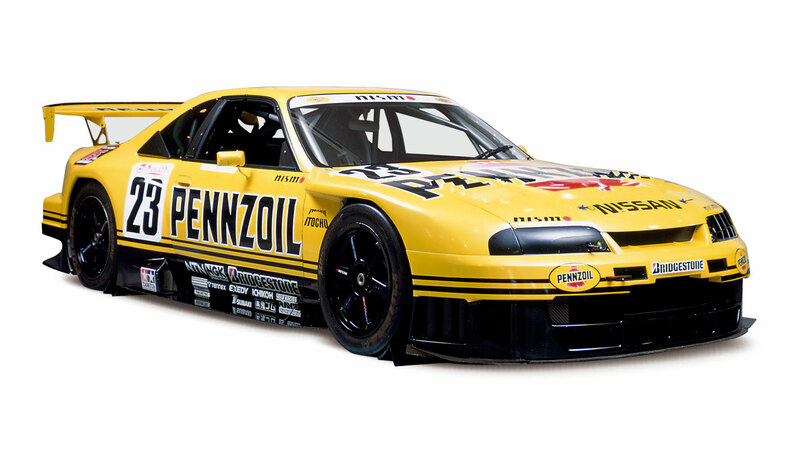 In 1998, this Pennzoil Nismo Skyline GT-R competed in the All Japan Grand Touring Car Championship, picking up two race wins on its way to the GT500 title. The engine was upgraded from 2.6 litres to 2.8 litres to deliver a maximum output of 500hp. When tuning house Autech decided to celebrate the 40th anniversary of the Skyline GT-R in 1998, there was only one thing to do – build a four-door version. This paid homage to the ‘Hakosuka’, and there had been plenty of four-door variants of the common or garden Skyline models. 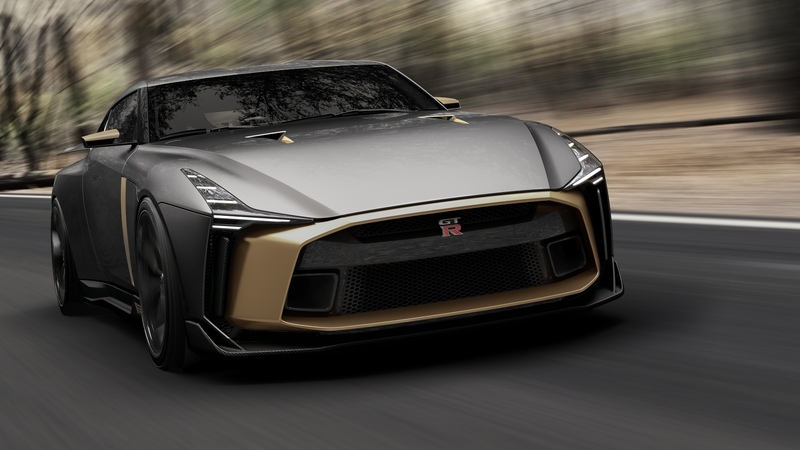 It is, perhaps, the greatest Q-car GT-R since the 1969 original. 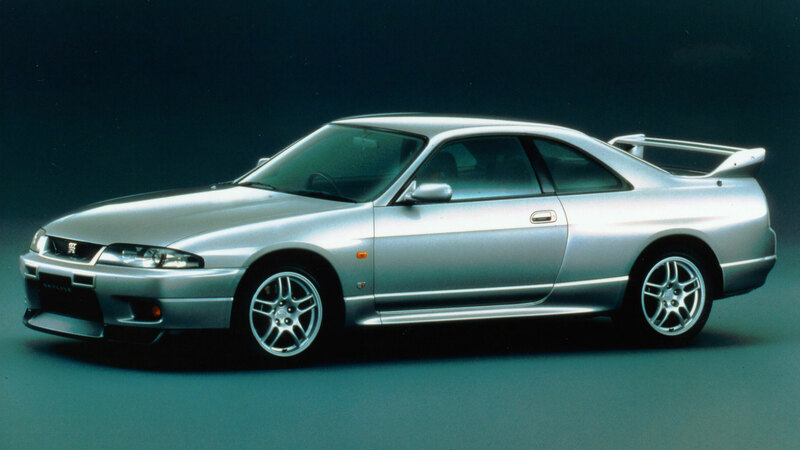 The final Skyline GT-R was built in November 1998, but we wouldn’t have long to wait for the next-generation model. 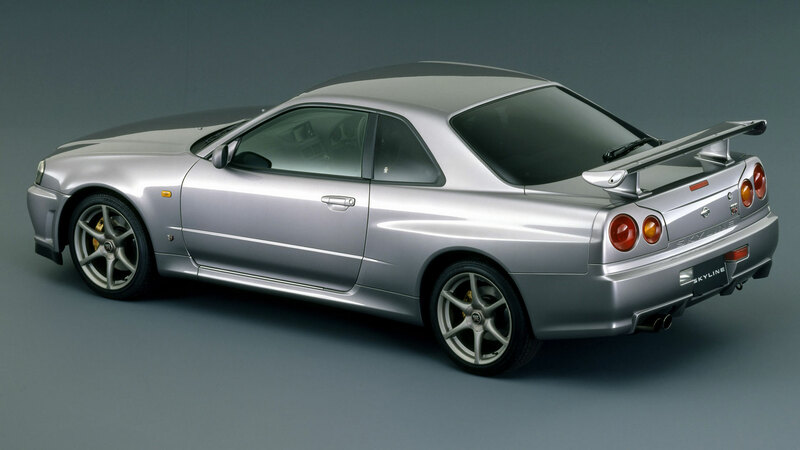 If you’d somehow managed to miss the hype surrounding the Skyline GT-R, there was no escaping the R34 of 1999. 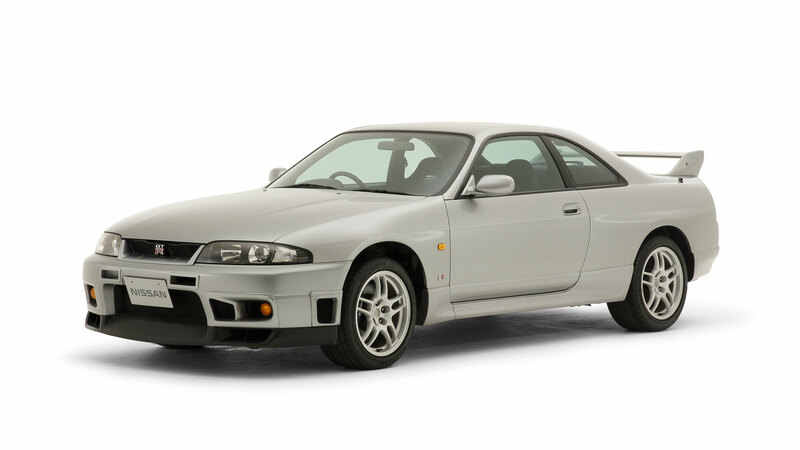 Thanks to Brian O’Conner (Paul Walker), the Skyline GT-R was thrust into the mainstream when it appeared in 2 Fast 2 Furious. But the R34 was more than just a movie prop – this was one of the most technically advanced cars on the planet, featuring a trick four-wheel-drive system and four-wheel-steering. As is normal for the Skyline GT-R, it wasn’t long before tuning houses were creating monsters out of the R34, with Nissan creating some in-house specials of its own. Various flavours of V-Spec (pictured) were available, along with a range of Nismo editions. 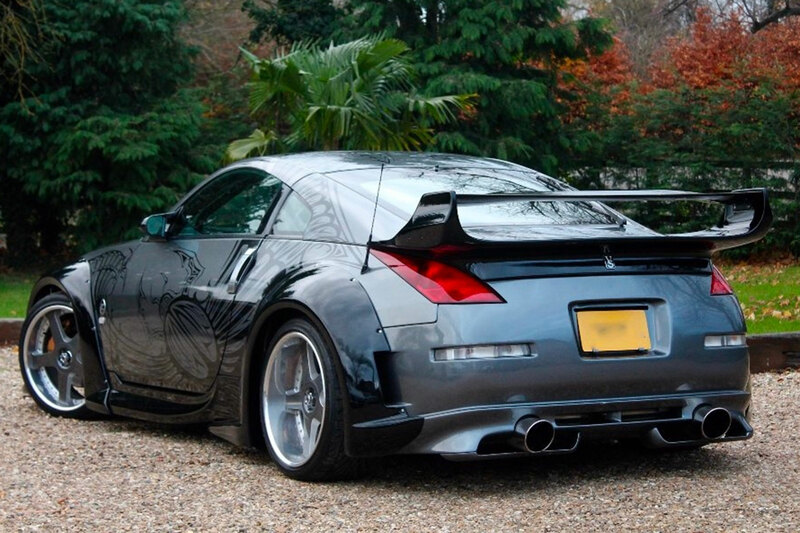 In 2004, Nissan launched the GT-R Nismo Z-Tune. Conceived to win a ‘tuner battle’, Nismo built 20 road-going versions, each one with more power and a host of mechanical upgrades. There are far too many Skyline GT-R special editions to mention, but the M-Spec Nur is worthy of inclusion. ‘M’ stood for Mizuno, Nissan’s chief engineer, with ‘Nur’ derived from the Nurburgring, where the R34 was developed. 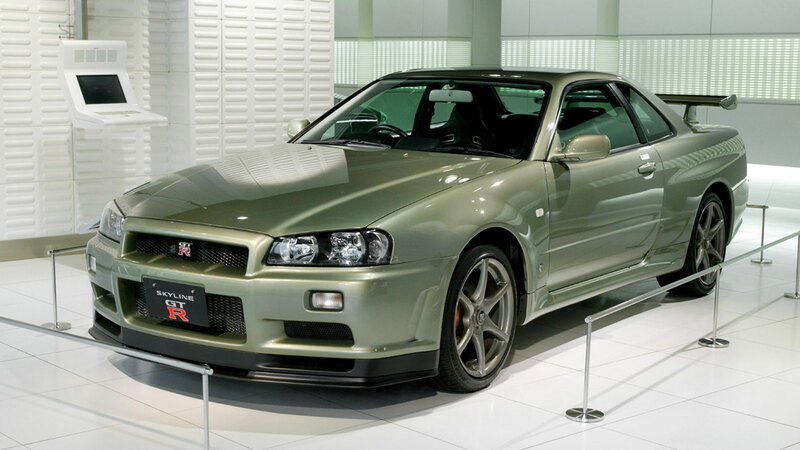 Just 250 were built as the R34 bowed out, taking the Skyline GT-R name with it. But that’s not to say the GT-R badge was dead. Looks familiar, doesn’t it? Although the current Nissan GT-R as we know it today was still six years away, with the benefit of hindsight, it’s a pretty good preview of the production model. At least it would have been if it had an engine. 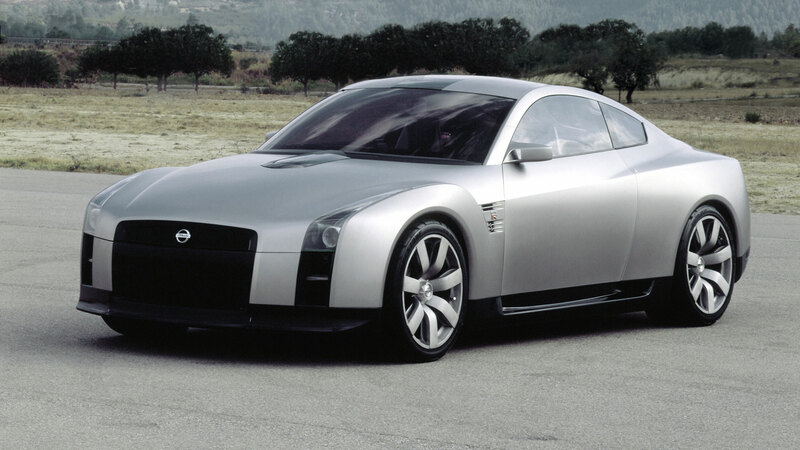 Instead, Nissan said that it previewed the look of a 21st century GT-R, albeit without the Skyline name. 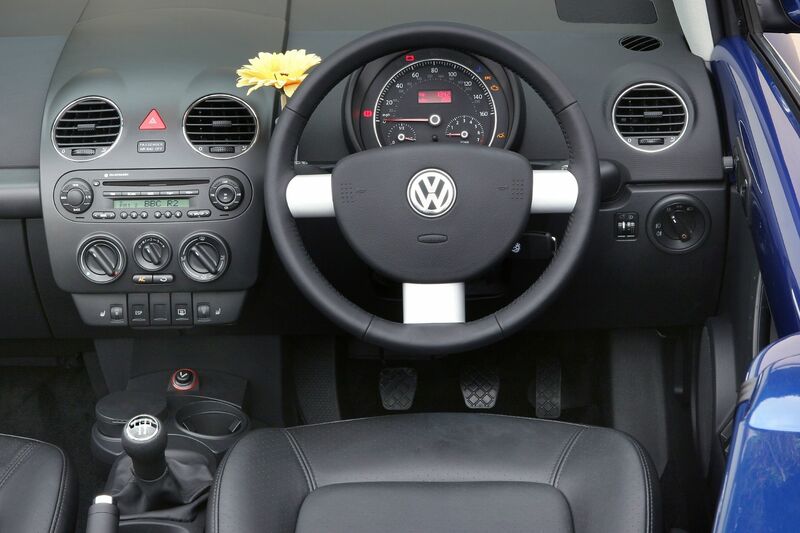 You could even drive it – just as long as you had a copy of Gran Turismo 4. A further concept was launched before the production version made its debut in 2007. 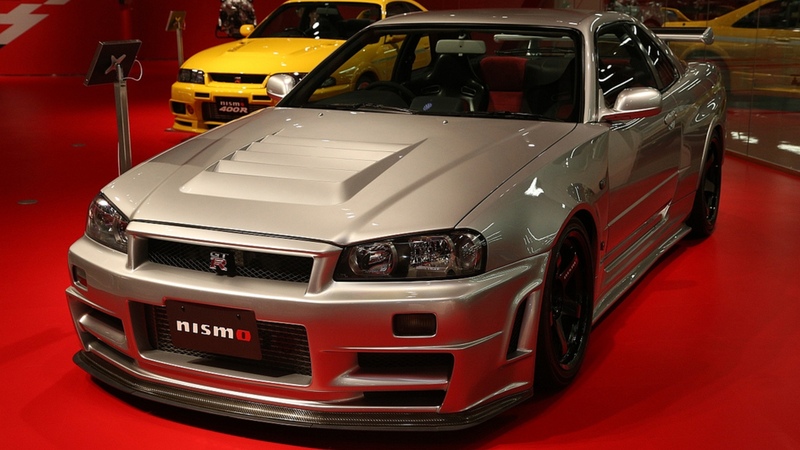 The unofficial reboot of the R34 came out in 2005 courtesy of Nismo. Just 20 Z-Tunes exist, built up from low-mileage R34s. 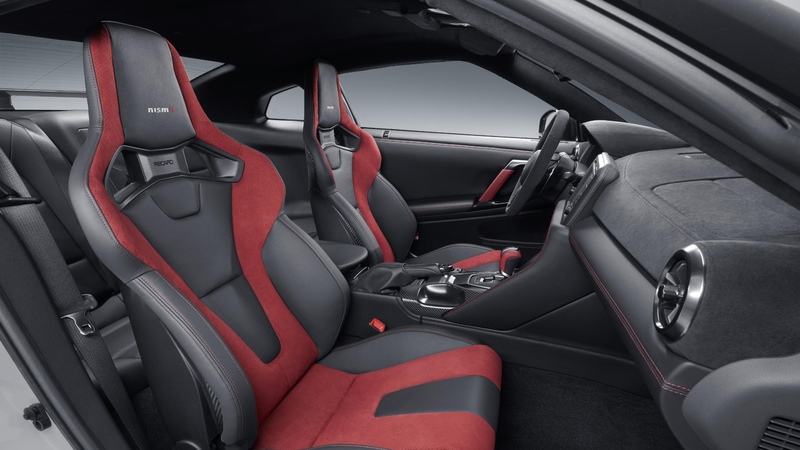 Updates include swathes of carbon fibre bodywork borrowed from the GT500 racer, a 500hp upgrade for the hand-assembled RB 2.8-litre straight-six – also race-influenced – and upgraded stability control systems. Chassis #001 commanded a £400,000 hammer price four years ago. Needless to say, this is the ultimate R34 variant. 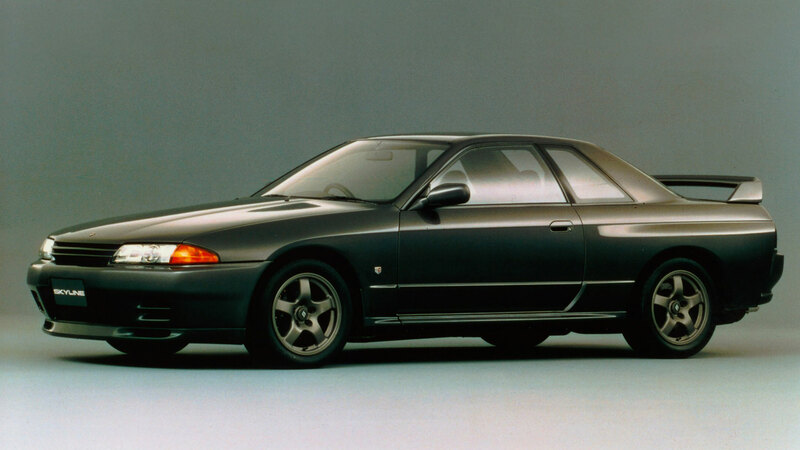 In truth, the Skyline GT-R story ends here, because Nissan chose to ditch the Skyline name. But the R35 GT-R didn’t just move the game on, it re-wrote the rulebook. With the Japanese gentleman’s agreement limiting the horsepower consigned to the history books, Nissan was free to unleash fury. The £60,000 supercar-tamer featured a 485hp 3.8-litre twin-turbocharged V6 engine – more than double that of its predecessor. 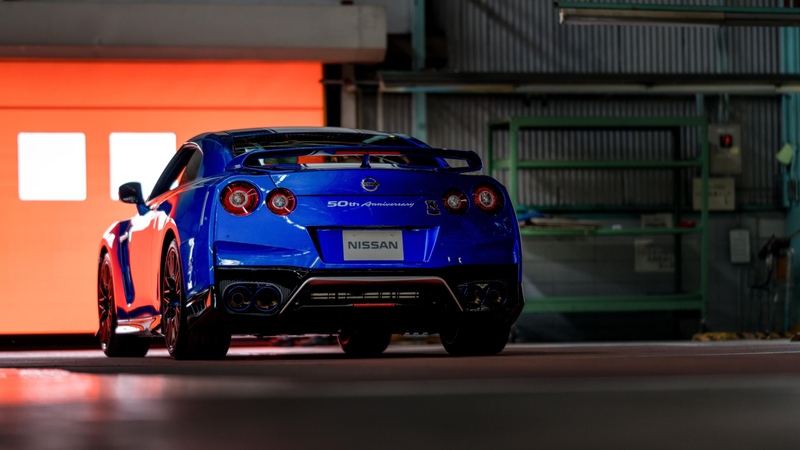 The R35 GT-R has gone through numerous iterations in its 12 years on sale. The Spec-V was the first variant that showed Nissan had every intention of regularly upping the ante. 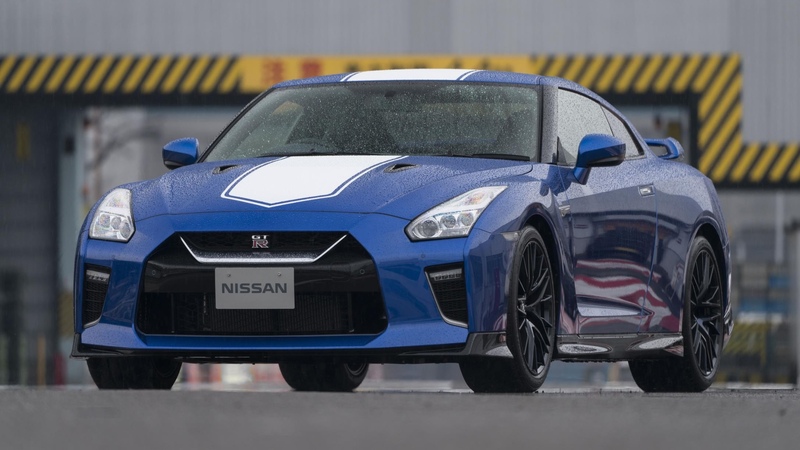 It blasted past 500hp, leading to the current range-topping 600hp GT-R Nismo. If you ask nicely, you can have the latter with the skunkworks ‘N Attack’ package, which helped it blitz the Nurburgring. 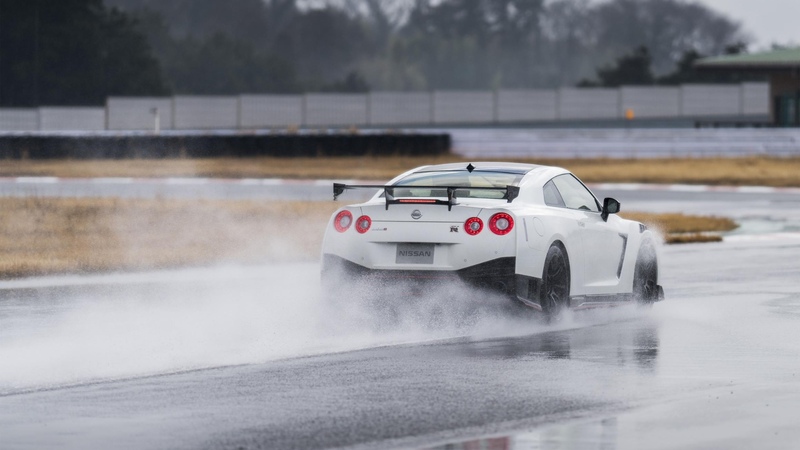 The R35 GT-R has gone on to create its own legend, upsetting the establishment, setting lap records and evolving into one of the most formidable performance cars on the planet. The Prince of the road has turned into the king of the track, with the latest Italdesign GT-R50 celebrating Godzilla’s Golden Jubilee. 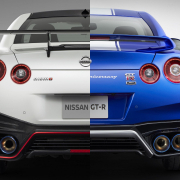 Happy 50th birthday, GT-R.
UK Brexit pledge letter revealed: will Nissan get its £61 million? 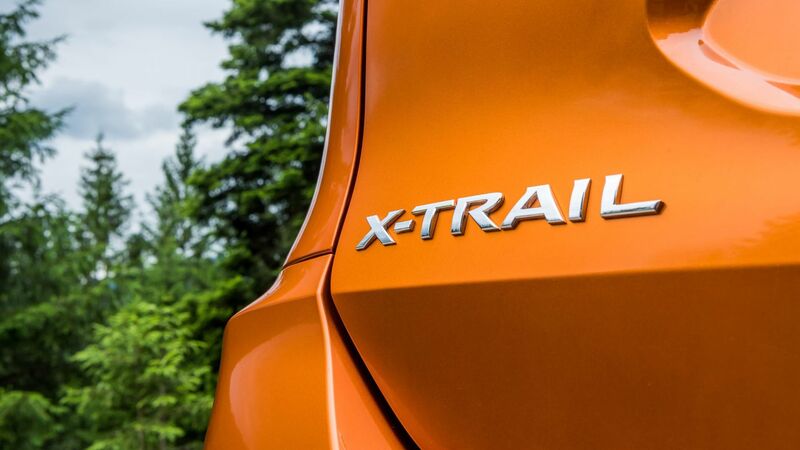 Nissan’s decision to move production of the next X-Trail from the UK to Japan has hit the headlines. However, the firm also appears to be violating the terms of an investment offered by the UK government in October 2016. Has Nissan defaulted on its side of the deal? We examine the story so far. 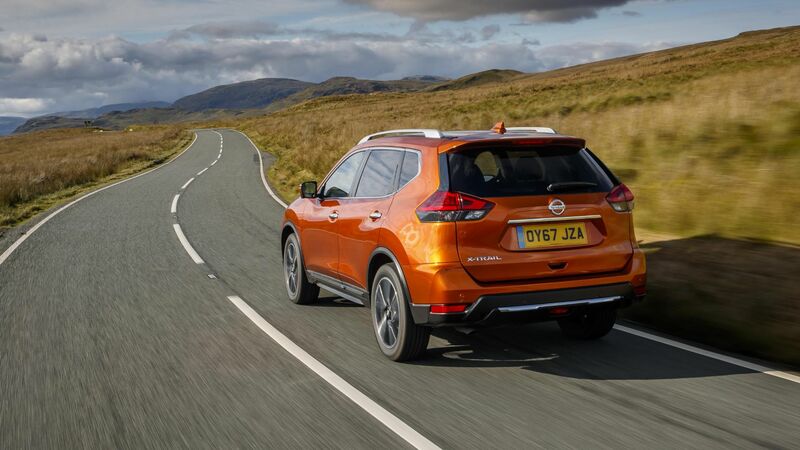 After the Brexit vote in 2016, the UK Government pledged £80 million to Nissan on the basis that Sunderland would build the next X-Trail and Qashqai SUVs. 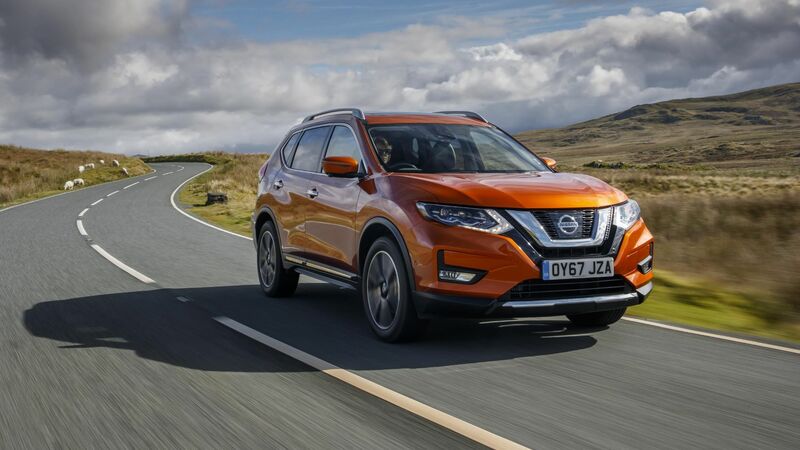 The recently released letter from Business Secretary Greg Clark to then-Nissan CEO Carlos Ghosn stated the money was “contingent on a positive decision by the Nissan Board to allocate production of the Qashqai and X-Trail models to the Sunderland Plant”. That investment was later reduced to £61 million based on a review from an independent advisory committee. However, based on the turbulent course of the UK’s EU exit so far, including the threat of a no-deal Brexit, Nissan has pulled the X-Trail from Sunderland. Nissan Europe chairman, Gianluca de Ficchy, said on Sunday that “the continued uncertainty around the UK’s future relationship with the EU is not helping companies like ours to plan for the future”. Nissan has yet to receive any more than £2.6 million of the promised money, but this latest move means a reapplication will be necessary. The car industry’s feeling around Brexit wasn’t confident three years ago. Since then – especially over the last six months as a potentially catastrophic no-deal scenario looms large – that fear has worsened. Nissan has risked this pledged investment, demonstrating its lack of confidence in what was described by the government as an “unrivalled business environment here in the UK”. The letter contained promises to protect the presence of car manufacturers in the UK, saying they were a “critical priority of our negotiations to support UK car manufacturers, and ensure their ability to export to and from the EU is not adversely affected by the UK’s future relationship with the EU”. How might Nissan get its £61 million? The future of the UK’s investment in Nissan isn’t totally bleak. The money may go to the company as planned, for use in developing alternative energy technologies (electric and hybrid cars, for instance). The real question, though, is where will they be built? Given that the electric Leaf continues to be made in Sunderland, the plant’s future seems assured for now. While Nissan defaulting on the X-Trail promise halted the creation of 741 UK jobs, production of the Juke, Qashqai and Leaf has been retained. That’s secured the jobs of the existing 7,000 Sunderland workers. For Nissan’s part, this is a warning of the dangers of a no-deal Brexit. 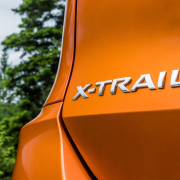 https://www.motoringresearch.com/wp-content/uploads/2019/02/1398143_426192012_The_new_Nissan_X_Trail_world_s_best_selling_SUV_gets_even_better_with.jpg 1080 1920 Ethan Jupp https://www.motoringresearch.com/wp-content/uploads/2018/12/mr-top-motoring.svg Ethan Jupp2019-02-05 10:37:412019-02-05 10:37:41UK Brexit pledge letter revealed: will Nissan get its £61 million? 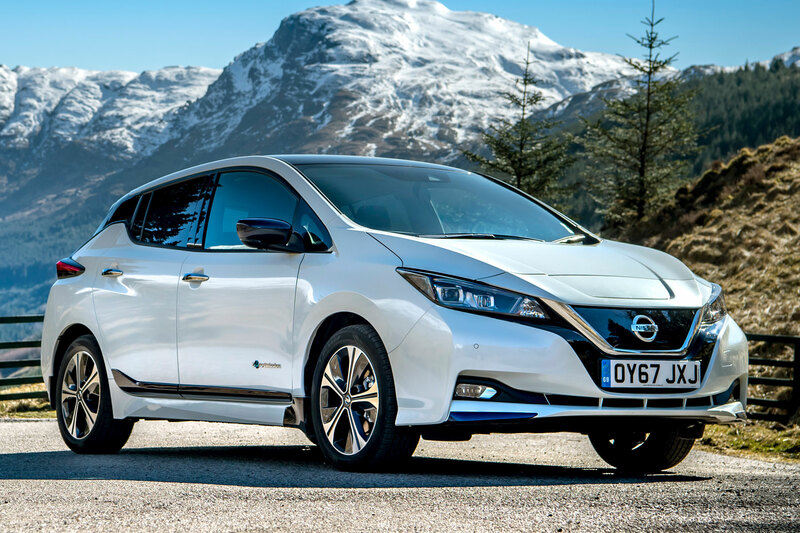 Nissan is in trouble with the advertising regulator over misleading claims about charging times for its all-electric Leaf. The issue centres around the claim that the Leaf’s batteries can be charged up to 80 percent inside an hour. 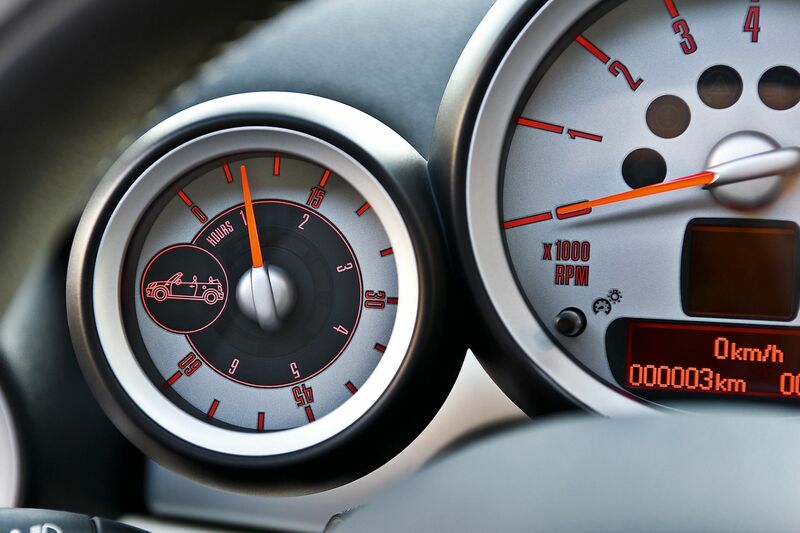 For that kind of performance, however, you’ll need perfect temperatures and the optimum charger set-up. 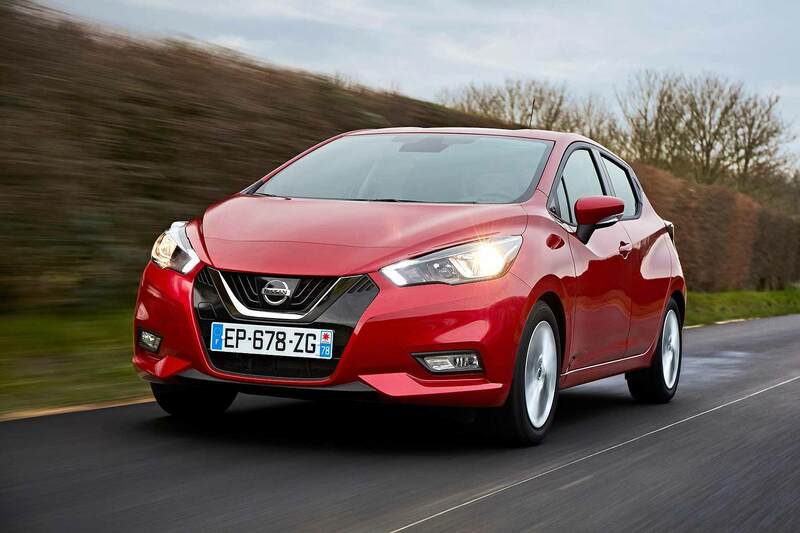 “Quick charge on the move” is a difficult thing to guarantee, as Nissan has now discovered. 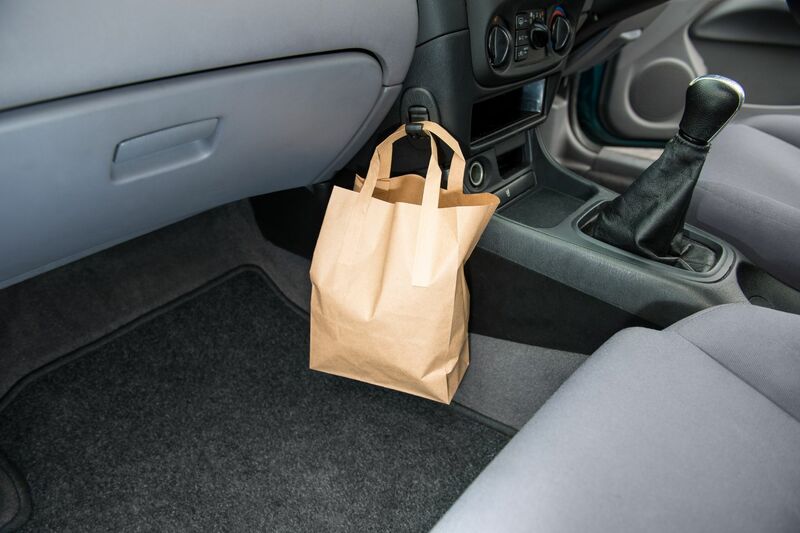 Some buyers who chose the car on the merit of the charging claim feel disenfranchised, which has prompted the Advertising Standards Authority (ASA) to act. The advert was initially changed, so it no longer promised 80 percent capacity in 40-60 minutes. The revised wording said: “get from 20-80 percent in around 60 minutes”. However, the ASA was still unhappy, viewing the update as a soft get-around, rather than an actual amendment of the original claim. As such, the ad has been banned. We think carmakers shouldn’t, under any circumstances, make claims that their products can’t deliver on. When it comes to high and low bars, they should guarantee the minimum, not tout the maximum as the norm. 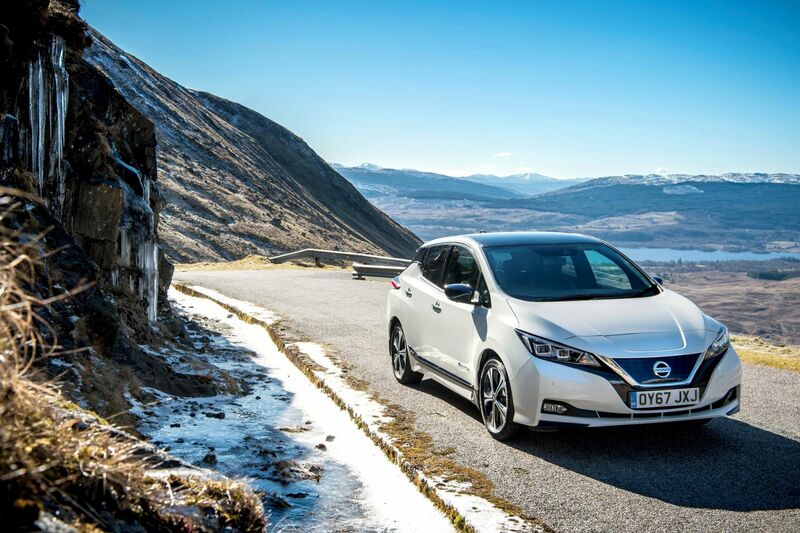 The electric Nissan Leaf has been awarded five stars as part of a tougher Euro NCAP safety test introduced for 2018. NCAP says it’s revised its agenda to focus on safety technology to help protect vulnerable road users, including the introduction of a cycling detection test for autonomous emergency braking. The new Nissan Leaf is the first car to be tested for its cyclist-detection with auto brake technology. 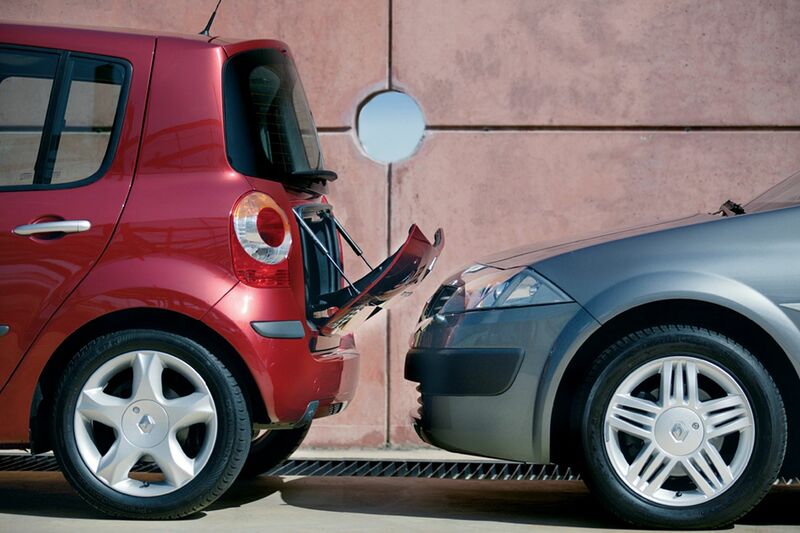 “These latest updates in Euro NCAP’s active safety testing focus on both the protection of those inside the car and those who share road-space with it,” said Euro NCAP’s secretary general, Michiel van Ratingen. 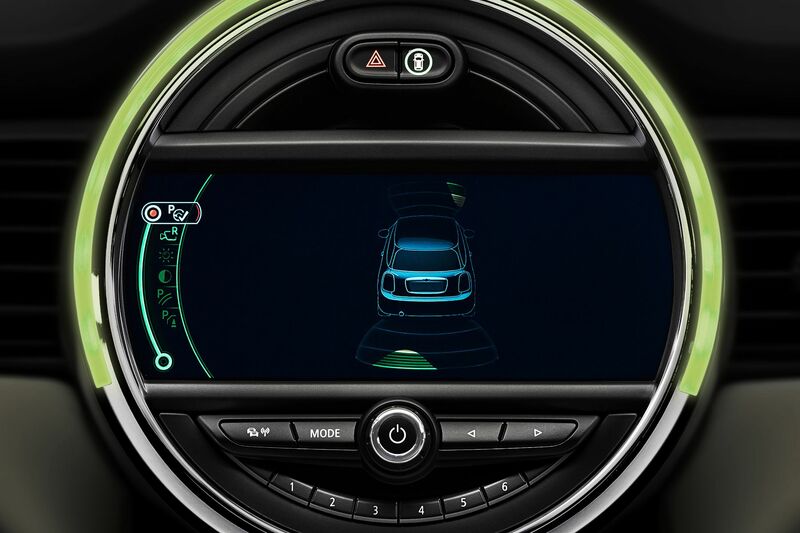 “Our new assessments demonstrate the increasing level of sophistication that can be achieved by connecting various sensor systems installed on the vehicle. As the cost of these systems drops and computing capabilities increase, standard vehicles will soon become able to help prevent significantly more complex real-life crashes. When the original Nissan Leaf was launched in 2011, it was the first all-electric car to be rated five stars by Euro NCAP. With car buyers being encouraged to turn away from conventional engines, NCAP says the Leaf proves that environmental friendliness does not need to come at the expense of improved safety. As well as a focus on cyclist detection, other changes to the Euro NCAP test for 2018 include testing of pedestrian detection in darkness and obscure lighting conditions to ensure these systems work at all times. Emergency lane keeping systems are also being tested – with NCAP ensuring they react to the road edge (marked and unmarked) so the vehicle does not run off the road or steer into the path of another vehicle. Opinion: electric cars are the future, so why are sales falling? Nissan has launched a new entry-level version of the Micra, with a three-cylinder 1.0-litre engine producing an insurance-friendly 71hp. How insurance-friendly? 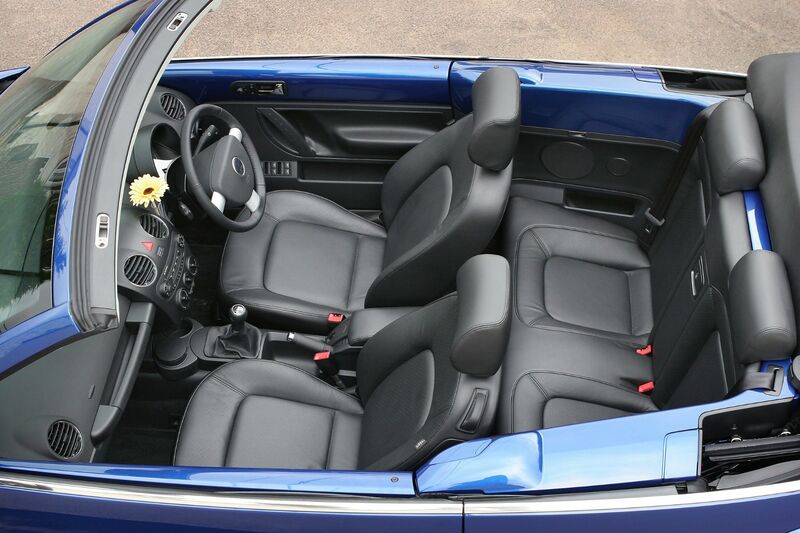 The firm is claiming it’s the cheapest car in its class to insure. The low-power Micra joins the existing 0.9-litre turbo and 1.5-litre dCi turbodiesel, and is expected to quickly make up 1 in 5 Nissan supermini sales in the UK. 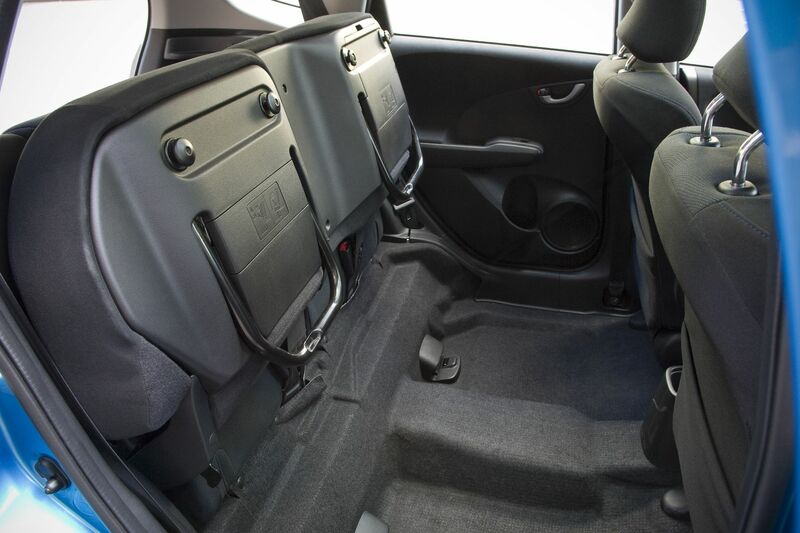 Europe-wide, it may rise even higher, to a quarter of all Micra sales. That’s despite 0-62mph taking a yawning 16.4 seconds. 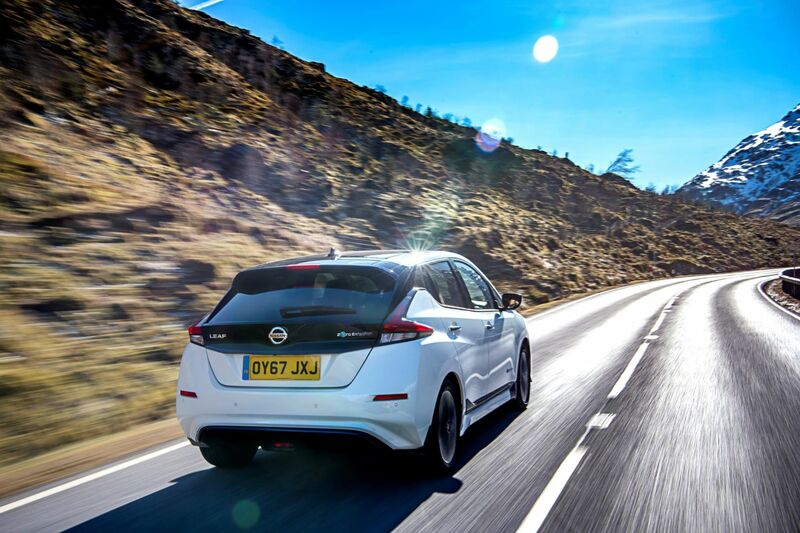 Never mind that, reckons Nissan – look at 61.4mpg combined economy, CO2 emissions of 103g/km, and an insurance rating of a lowest-possible group 1. Indeed, every variant is rated in group 1: the £11,995, Visia, £12,945 Visia+ and £14,145 Acenta. Ordering is open now but, before you sign on the dotted line, be sure to check the 0.9-litre turbo petrol alternative, won’t you? In Visia+ spec, it’s just under £1,000 pricier – yet cuts more than four seconds from the 0-62mph time, while actually proving even more fuel-efficient. The 64.2mpg combined economy is backed up by a sub-100g/km CO2 figure, too. OK, the insurance rating rises to group 3 but, unless cheapest-possible insurance is absolutely paramount, we’d advise bypassing the 1.0-litre and choosing the 0.9-litre instead. In this instance, good things really do come in smaller packages. 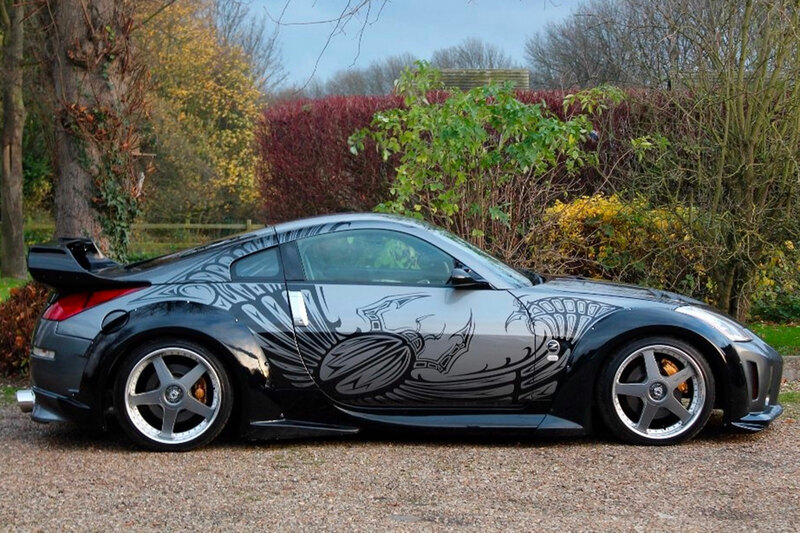 Would you buy the ageing Nissan 370Z over a four-cylinder Porsche Cayman or Jaguar F-Type? Not many people would… which is why Nissan’s given its slow-selling coupe a series of cosmetic revisions for 2018. Look closely, and you’ll see new black door handles along with a matching black rear bumper. Dark tinted head and taillights – previously only available on the range-topping Nismo model – are now standard across the range. Customers can now opt for new 19-inch alloy wheels, and there’s also a new metallic red exterior body colour. 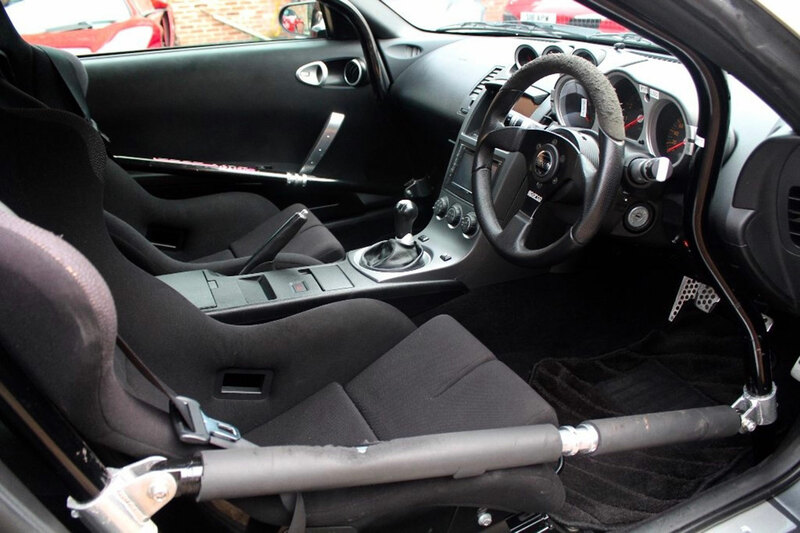 The only mechanical revision is a high-performance Exedy clutch which, Nissan says, perfects the downshift, being easier to use and providing a more precise gear change. The engine remains the same potent 3.7-litre V6 as before, providing 328hp and a 0-62mph time of 5.3 seconds when combined with the six-speed manual gearbox. 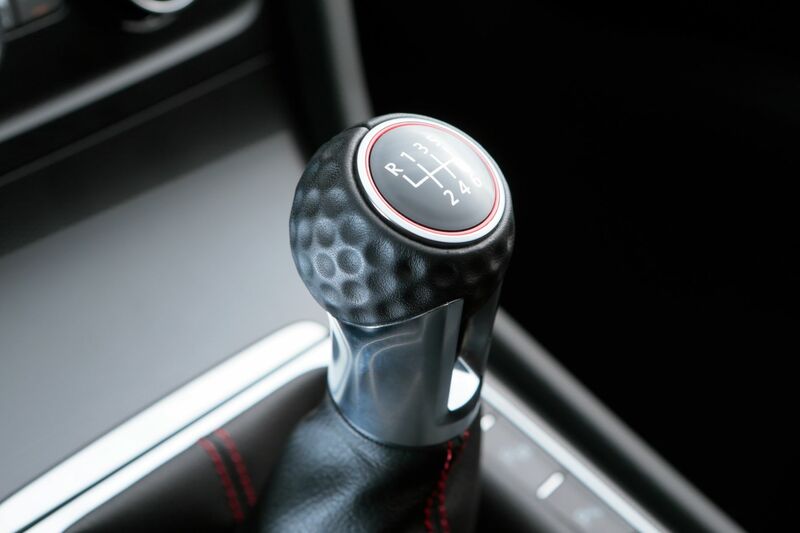 A seven-speed auto ‘box is also available. 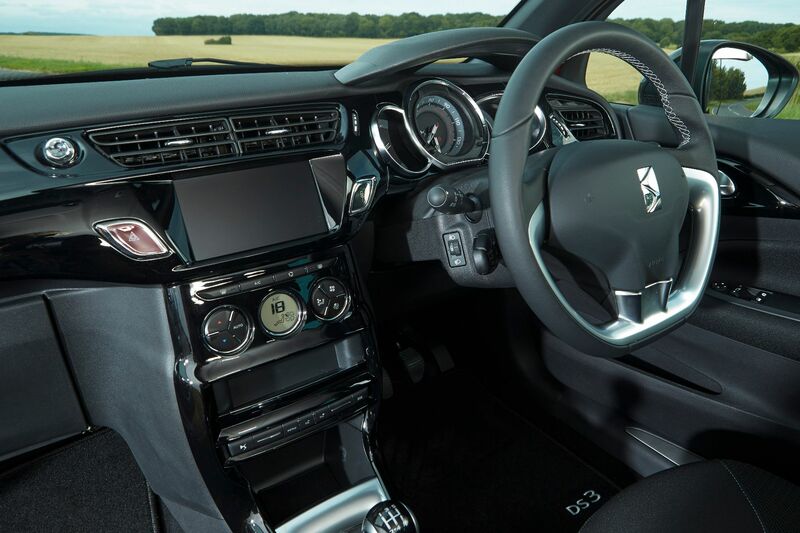 The interior remains largely unchanged, except the firm’s NissanConnect premium seven-inch infotainment system incorporating a sat-nav, DVD player and rear-view camera, is now standard on GT models. Previously it was only standard on the Nismo. Nissan dealers are now taking orders for the 2018 370Z, with prices sticking at £29,185. This weekend, all footballing roads – or more specifically the M4 and A48 – lead to Cardiff as the Uefa Champions League bandwagon rolls into town. At the end of the day – read: 19:45 – Juventus and Real Madrid will kick-off with high hopes of scooping Europe’s biggest prize since Amar Pelos Dois won the hearts of Kiev. These days, football and cars are as intertwined as Cristiano Ronaldo’s Ferrari 599 GTB and the tunnel beneath Manchester Airport. In Cheshire, (dis)tastefully modified cars are as common as fake tan, must-have handbags and sunnies the size of dinner plates. But while it’s easy to poke fun at footballing car culture – hat tip to Stephen Ireland for services to the industry – the fact remains that football is big business for the car industry. And that’s not a throwaway cliché, Clive. New Jaguar XE SV Project 8: they’re building it! 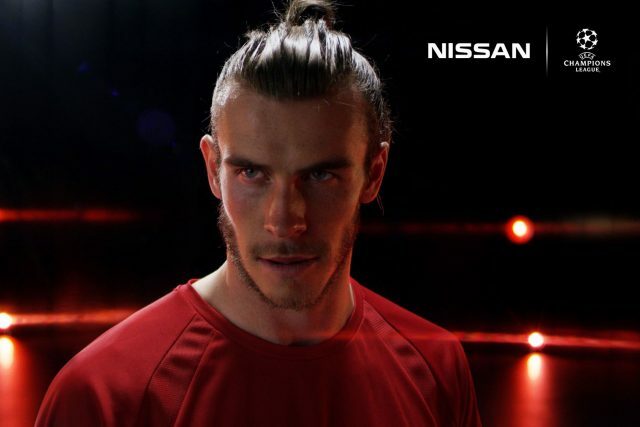 Nissan certainly thinks so, which is why you’re forced to endure endless ads when Gary, Jake and co. have finished over-analysing misplaced passes with old pros. The Japanese firm signed a four-year Uefa Champions League sponsorship deal in 2014, reported to be worth €54.5 (£45m), replacing Ford, which had sponsored the tournament for 22 years. Whichever way you look at it, that’s an awful lot of Nissan Micras. Or 3,750 base-spec models, to be precise. For Nissan, the benefits are obvious. Around 200 million fans are expected to watch the final on June 3, not to mention the countless others who have tuned in since the tournament kicked off back in June 2016. Although quite how many cars Nissan sold off the back of The New Saints vs. Tre Penne is anybody’s guess. “The Champions League has massive power in terms of views that it can give us,” Jean-Pierre Diernaz, vice president for marketing, Nissan Europe, told the BBC in 2016. “We are a growing brand around the world, but with the exception of Japan, and possibly the US, we are a challenger brand. To go a step further we need to grow awareness. The Champions League has massive power in terms of views that it can give us. “It is working in terms of making sure our brand is growing,” the Frenchman said. Interbrand’s Top 100 Best Global Brands ranks Nissan as number 43, with the brand valued at $11.066m in 2016, an increase of 22%. Messrs Iniesta, Thiago Silva and Aguero kicking a ball about in a studio are doing more than just bookending the commercial break. But the car industry’s involvement with the Champions League final goes far deeper than Yaya Touré kicking a football through the roof of a Nissan X-Trail. Real Madrid vs. Juventus presents a compelling automotive sideshow in Ingolstadt vs. Michigan. Or Audi vs. Jeep. Audi calls itself a “partner of premier international clubs” and has been the vehicle partner of Real Madrid since 2003. The internet is awash with photos of players smiling gleefully at the Estadio Santiago Bernabéu as they’re presented with the keys to their new highly-specced Audi. 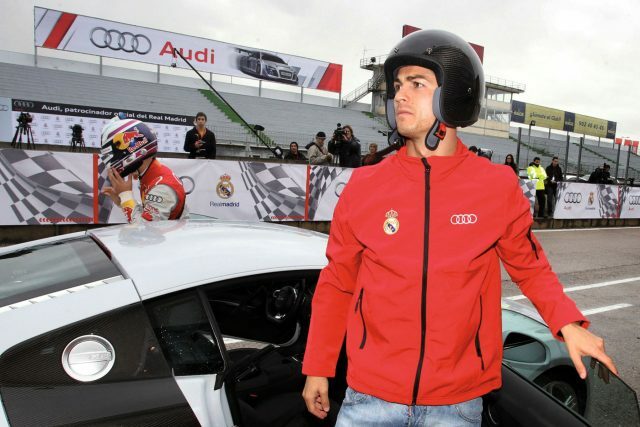 Hats off to the Audi PR team for convincing Ronaldo to risk a moment of ‘helmet hair’ in the name of corporate sponsorship. He’s probably just thankful that he escaped the possibility of being given a club Chevrolet when he left Manchester United. Hard luck, Rooney, De Gea, et al. 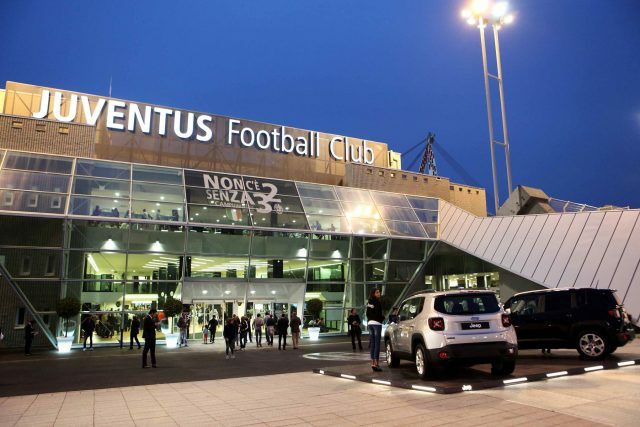 Jeep’s sponsorship of the ‘Old Lady’ dates back to the 2012-2013 season when it signed an initial three-year deal worth €35m, or €11.7m per season. To outsiders, seeing the famous Jeep logo adorning the equally famous black and white stripes of Juve might seem like just another sponsorship deal, but to car enthusiasts and those with a thing for economics, the link is more obvious. Juventus is controlled by the billionaire Agnelli family, the investment company with a 29.41% share in Fiat and a 22.91% share in Ferrari. In 2015, the Fiat-founding family signed a merger agreement with Chrysler, which created Fiat Chrysler Automobiles and created an indirect link between the American SUV brand and the city of Turin. Not that Juventus has encountered anything other than smooth roads this season. Having secured the Serie A title, Juve made light work of Barcelona at the quarter final stage and saw off the attacking threat of Monaco in the semis as the Italians marched to the final in Cardiff. Victory at the National Stadium of Wales – Uefa regulations prevent it being called the Principality Stadium – would net the winning team €15.5m, while the other finalist will receive €11m. Enough for the clubs to pick and choose from their corporate sponsor’s range of vehicles. Leaving aside the fact that the players are given the keys to the cars of their respective club sponsors, you’re unlikely to see Ronaldo splashing out on a new Q2 or Buffon spending any time using the Renegade online configurator. The players can pick and choose from the world’s elite range of supercars. Not to be outdone by his Real Madrid teammate, Karim Benzema often arrives at training in a black and chrome Bugatti Veyron. Meanwhile, Toni Kroos drives a Ferrari 488 GTB. Welshman Gareth Bale, who is hoping to recover from an injury to play in the Cardiff final, reportedly gave up driving supercars because he believed it was the root cause of a succession of hamstring injuries. Bale was a member of a £30,000-a-year supercar club. Legendary Italian ’keeper, Gianluigi Buffon is unlikely to suffer any supercar-related injuries ahead of the Champions League final. The 39-year-old Italian is more interested in clean sheets than expensive motors, choosing to squeeze his 6ft 3in frame into a Fiat 500. In his first year as a pro he’d turn up at training riding a Vespa. Once a legend, always a legend. Predictability, many of Buffon’s teammates at Juve don’t share his love of mundane motors, with some opting to keep it in the family by driving a Ferrari. For Dani Alves it’s an FF, Leonardo Bonucci drives an F12berlinetta, while Claudio Marchisio has chosen a 599 GTO. Not that this precludes the Juve players from partaking in the odd promotional job for Jeep. “Smile and think of the paycheque,” mutters Giorgio Chiellini as he manages something that might pass as a grin. Almost. Come Saturday evening, Juventus will be all smiles if they overturn the odds by beating the favourites Real Madrid. Will Italian-American grit triumph over German precision engineering in the battle of the sponsors, or will the Japanese score on the break? It’s back to you in the studio, Gary.